James Beard went down in history as an extraordinary culinary personality and is a central figure in the history of the formation of the American food industry. In 1950 he brought French cuisine to the American people in middle and upper class, for which he was recognized as the father of gourmet cooking in American style. 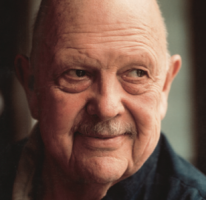 His legacy continues to live and consisted of 20 books and numerous writings in the fund, created in honor of James Beard, who is reward the best chefs of the country. Anything that does not kill us makes us stronger. James Andrew Beard was born on May 5, 1903 in Portland, Oregon, USA, the son of Mary Elizabeth Jones and John Beard. His mother worked in «Gladstone Hotel» run the hotel, and the father of the city's customs. The family went to rest on the Pacific coast, where James and was influenced by the unique local cuisine. From the memories of his early childhood he remembered this particular kitchen and wrote about it in his memoirs. At the age of three years, James was bedridden with malaria. This disease has given him time to enjoy a meal prepared by his mother and Chinese cooks his family, by which he was inspired Chinese cuisine, which also gave the makings of a future smart culinary career. 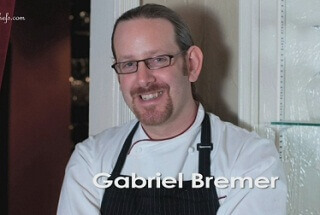 Beard lived in France in the 1920s and the formation of his ideas about the kitchen and French influenced bistro. 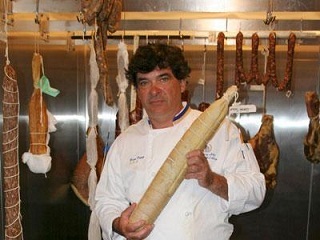 As a result of this action in the future it will influence the trends of French culinary culture. At nineteen, he went to London to become an opera singer, and then - to New York to become an actor. After a brief stay in college in Portland (where he was expelled in 1922 for homosexuality) in 1923, James went on the road with a theatrical troupe. He lived abroad for several years, studying singing and theater, but returned to the United States in 1927. He sought to be realized as a singer and actor, in 1935 he was convinced that his career can not be called profitable and started catering. In 1935 James Beard and his friend Bill Rhodes opened a small grocery store "Hors d'Oeuvre, Inc.". In 1937 He finally realized that his future - in the world of food and cooking, then Beard published his first cookbook, "Hors d'Oeuvre and Canapes" in 1940. The publication of the first major cookbook devoted exclusively cocktails, snacks and canapés in 1940, followed by his second book and first serious work on cooking "Cooking outdoors", which was published in 1942. Combining food with spectacles, he put his energy into a theatrical writing and single-handedly created the drama of American cuisine. 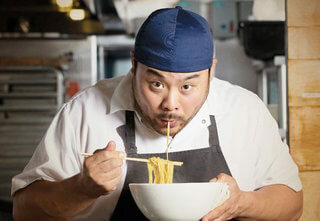 Combining food with spectacles, he put his energy into a theatrical writing and single-handedly created the drama of American cuisine. Difficulties in the Second World War brought the restaurant business to a standstill. 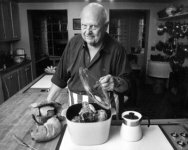 When he returned to New York in 1945, he was completely immersed in the culinary community, and in 1946 James Beard appears on television the first chef cooking demonstrations on television with the first in the history of show cooking "I love to cook" on NBC , after which it begins to increase as the famous culinary creator. This show was a nationally and internationally significant manifestation of culture. 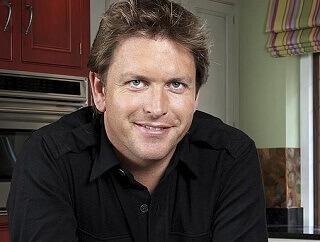 Over the years, James Andrew Beard has become not only the leading culinary show, but also "the dean of American cuisine" at the expense of numerous publications and two books published. 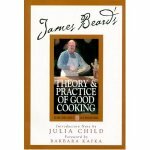 In 1955, James opened his own cooking school, where in the next 30 years, he teaches cooking skills of men and women. He was a tireless traveler who denounced the secrets of cooking good food from fresh, healthy ingredients, in a country that is just beginning to realize their culinary heritage. It came in all sorts of secrets places across the country, creating a network of loyal followers who continued to spread his word after his death. 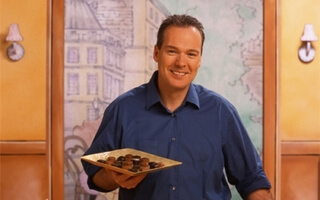 And, though he spent much time in France, he was sifting tastes of other countries through its cuisine to create a unique healthy menu, offering more and more new recipes. At this time, his dishes and menus were not a single country or culture. His culinary library in an apartment on 12th Street, which he owns in Greenwich Village was huge, and it has played an important role in the preparation of its students. David Camp said: "It was during this decade, James Beard made his name, brand, and the weight of the person in American gastronomy." Also continued to write cookbooks, most of which have become classics, and many of which are still in print: «Cookbook» (1959), "The cooking" (1960), "Sweets and Prejudice" (1964), "Menu for entertainment" (1965), "American Cookery" (1972) "Bread" (1973), "Food" (1974), "Theory and Practice of Good Cooking" (1977), "The New James Beard" (1981) "Pasta" (1983). With the publication of «Cookbook» in 1959, Beard introduced America's leading food gurus preach the gospel of American food for all those who have previously applied for a guide to European publications in all matters culinary. Died James Andrew Beard, January 21, 1985, in New York, USA, from heart failure at the age of 81, leaving a legacy of culinary excellence and honesty. His body was cremated and the ashes were scattered on the beach in Gearhart, Oregon, USA, where he spent his summers as a child. He was named "Father of American Gastronomy" and his name remains synonymous with American food. His belief in the virtue of American cuisine helped to create a gastronomic revolution in the United States. 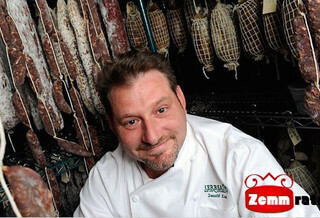 Its mission James Beard saw tireless assistance and support for people who have decided to make a culinary career, and also works as a consultant for many restaurateurs and food producers. At the same time he opens his own restaurant. 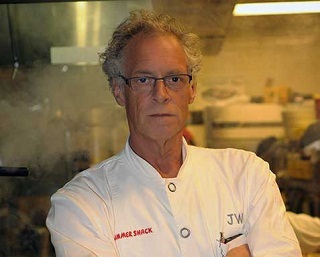 He became a point of reference throughout the US food industry. 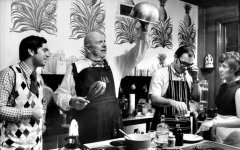 In 1986, his house became a living museum, where once chef James Beard showed their skills gathered from around the world. 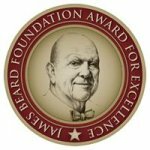 Through a series of events such as an annual celebration of James Beard, birthday Beard award and representatives of the food industry, the fund has created a generous scholarship to a national network of chefs, writers and restaurateurs. Julia Child summed up the life of Jim as follows: Beard was a typical American chef. Well educated and had seen a lot in his nearly 82 years. He was familiar with many cuisines, but he remained loyal to America. He was a big man, over six feet tall, with a big belly and huge hands. Sweet and always lively teacher, he loved people, loved his job, loved gossip, loved to eat and loved a good time. "